Discussion in 'Report a Scammer' started by Schnee, Aug 17, 2018. Opend a meso site a week ago, got chargedback by the email above. 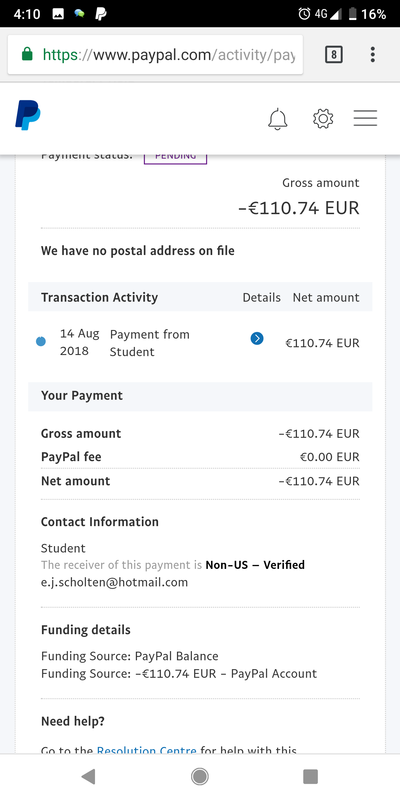 I know this is not GK related, was just wondering if someone knows the email and has tips how to win the chargeback. Don't think that he said he received the mesos in Livechat but only thanks. This was via goods and services. be normal and send him your email instead then. Anyways in regards to your chargeback case, you might want to post the chat/screenshot for PayPal review. Previously I was a seller in a card game app and I always met with buyers charging back after the item was received. Best to do is I answer towards PayPal questions and provide them with the information required by them. Especially screenshot of chat and trade.